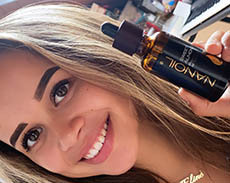 NANOIL is the solution to all of your hair problems – hair oil in three versions. It is the first such treatment available on the market that works excellently for every hair type. Discover the beauty of shiny hair, without visiting a hair salon. Don’t make wild guesses about what can help you solve your hair problems. Let us give you the solution. 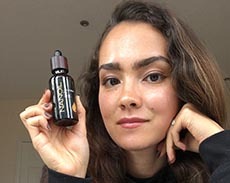 We have considered the needs of women all over the world and analysed the structure of human hair to create a complex of natural oils, vitamins, and nutrients. They deeply rebuild and tame your hair, increase volume, facilitate combing and styling, stimulate growth, and inhibit hair loss. Only NANOIL can make your hairdo healthy, strong, and full of vitality. THERE IS NO UNIVERSAL HAIR TREATMENT. THERE IS NANOIL! Remarkably stronger, radiant, nourished, vital, and silky soft hair? Say goodbye to all hair problems! 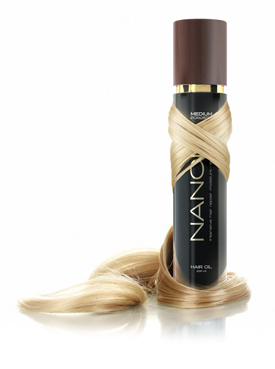 Go for NANOIL, the only product that provides your hair with complex care. 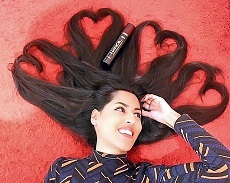 Enjoy silky smooth, glossy, and healthy hair. 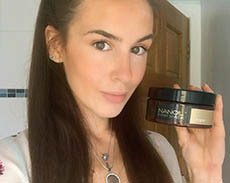 You will see the effects of NANOIL treatment after only seven days of use. 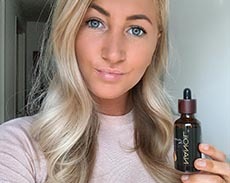 Specialists have devised a complex of hair-friendly, all-natural vegetable oils and nutrients that makes your hair healthier and more beautiful. 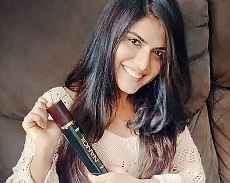 NANOIL hair oil provides women’s hair with beneficial and multidimensional action. The secret of NANOIL’s effectiveness lies in deep repair and working on the surface of hair. Thanks to the power of natural perfectly composed vegetable oils and vitamins, the oil controls processes on the scalp. It contains Kerastim complex that activates hair follicles and Baicapil complex, which stimulates hair growth. Panthenol, included in NANOIL, enhances the production of high quality keratin, whereas UV filter protects from damaging sunlight and high temperatures. Remember haircare should be suitable for your hair porosity. The choice of oil depends on the condition of your hair. Your hair is damaged and unaesthetic. You find it hard to keep proper hydration due to excessive water loss. 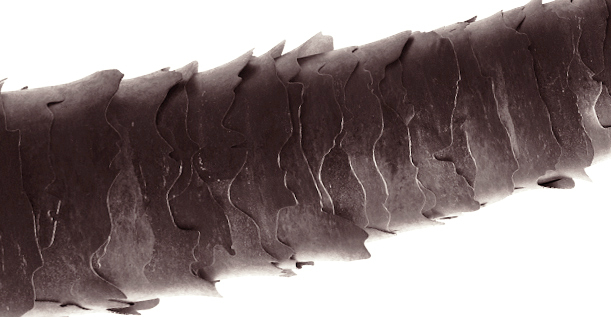 Your hair is dry, stiff, brittle, frizzy, and static, whereas hair ends are split. Hair cuticles are highly raised. There is no protective barrier that would keep harmful substances from getting inside the hair and damaging the hair structure. NANOIL for high porosity hair is the best choice for you. It will deeply rebuild damaged strands, repair and strengthen hair bulbs. It will make your hairdo as beautiful as it has never been before. Your haircare routine is troublesome. Your hair often gets dry. It is dull, brittle, and frizzy and falls out excessively. 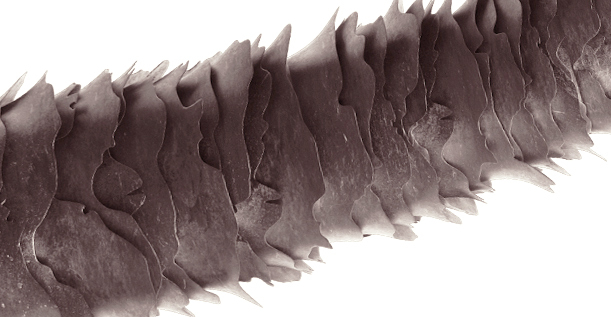 It is because cuticle scales are open. Therefore, it is easier for toxins to penetrate your hair. The natural protective layer of the scalp and condition of hair bulbs get weaker. That is why, your hair loses its moisture quickly. Improper haircare brings you closer to damaged hair. Choose NANOIL for medium porosity hair. It perfectly suits its structure, delivering a healthy and beautiful appearance. You have straight, heavy hair that lacks volume. It gets greasy quickly because the work of sebaceous glands is disturbed. Excessive sebum secretion weakens hair bulbs and hair. Cuticles are tightly bound, so blow-drying is more difficult. Your hair needs non-stop protection, e.g., from harmful action of the sun and humidity. NANOIL for low porosity hair will work for your hair type. Small particles of the oil facilitate styling, control skin pH, and provide complex care. Discover the secret of beautiful hair. Trust other women’s opinions. Treat your hair to professional and luxurious haircare. Thousands of women worldwide have trusted NANOIL hair oil. They appreciate innovation, versatility, and power of natural substances. Healthy and shiny hair is the crown of their femininity. Become an unquestioned, self-confident beauty queen! Join the circle of happy women who confirm the effectiveness of NANOIL treatment. YOU CAN ENJOY DREAM HAIR AS WELL! 1. 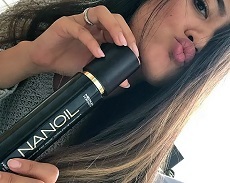 How to use Nanoil hair oil? Depending on the length of your hair, squeeze out 2-5 portions of NANOIL and evenly cover your hair and scalp. Leave the oil in for an hour or several hours. Next, wash your hair. 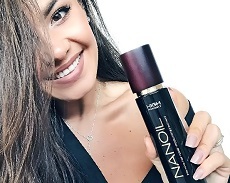 NANOIL Hair Oil Treatment will be more intensive if you apply it to damp and clean hair and scalp. The oil also works for men in beard and moustache care or in case of hair loss problem. 2. Who is Nanoil formula suitable for? NANOIL hair oil is based on natural vegetable oils; therefore, it can be used by everybody. It works for women and men. Identify your hair porosity and choose one of three NANOIL versions – for high, medium, or low porosity hair. 3. My scalp is sensitive. 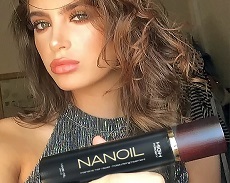 Can I use Nanoil? Safe NANOIL formula is recommended for everybody who desires to nourish their hair. It does not cause irritation, allergies, or other unwanted reactions. Its organic formula is also suitable for delicate scalp. Not only does NANOIL hair oil beautify hair but also heals the scalp. Therefore, it is also recommended for problematic skin. 4. What is Nanoil’s expiry date? One NANOIL bottle is enough for 3-4 months of treatment. You must use the product by the expiry date placed on the packaging. 5. 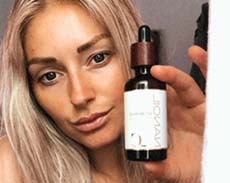 What is Nanoil made of? NANOIL hair oil contains exclusively natural ingredients. Each version offers properly balanced vegetable oils enriched with nourishing complexes that activate hair follicles and stimulate hair growth. UV filter and valuable vitamins (A, E) are also included. 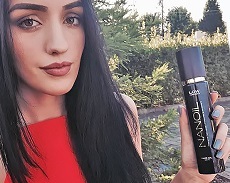 Every version of NANOIL is a perfect composition of substances that match your hair type. For detailed information on the components of NANOIL and their action, see ‘Products’. 6. 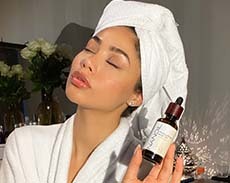 Why does Nanoil stand out among other hair oils? Clinical tests have shown hair can have different porosity. 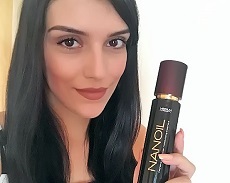 NANOIL offers three versions of the product. Each version contains different vegetable oils; therefore, its action is aimed at the needs of a particular hair type. It is the one and only hair oil that matches hair porosity (condition). 7. 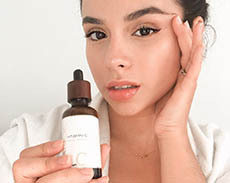 Will regular use of Nanoil bring desired effects? 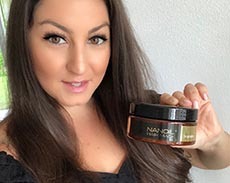 NANOIL will bring desired effects if you use it according to instructions and you pick the version that suits your hair type. You should not apply the oil too often or use too much. A few drops of NANOIL will be enough for your hair make-over. 8. You forgot to apply Nanoil and stopped the treatment? If deep repair and long-lasting effect are important to you, use NANOIL regularly, preferably 2-3 times a week. If you have forgotten about the application, it will not have a huge influence on the effects. However, remember hair needs regular oiling. 9. I have completed Nanoil treatment. What’s next? You have noticed a huge improvement in the condition of your hair after completing one NANOIL treatment? Keep using the oil. 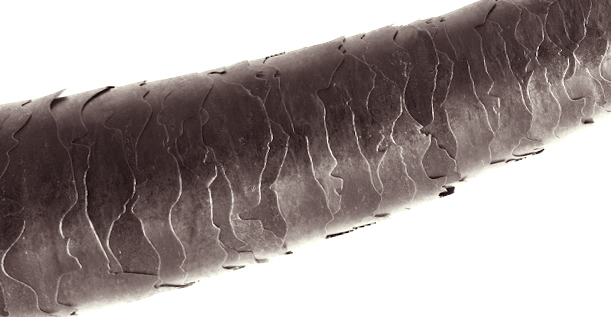 Every hair type (even low porosity) is exposed to the action of damaging factors, which can worsen its condition. Use NANOIL preventively, even after completing intensive treatment. The product is delivered by the courier company. Standard delivery takes 2 workdays, but it can be extended in rare situations. 11. Can I place an order from overseas? Yes, NANOIL hair oil is sent overseas, as well. When you select your language version of the website, you can place an order to one of several dozen countries.